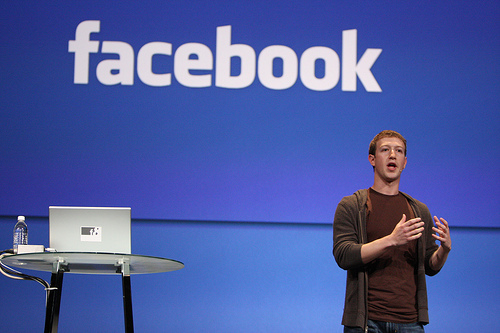 Does Facebook have a customer culture? Absolutely! With Facebook in the business news for all the wrong reasons, a cratering share price, slowing user growth and so on it is useful to think about exactly what type of culture Mark Zuckerberg has created. This is an inspiring larger than life vision, its not about making money, its about something that will motivate employees everyday they come to work. This last sentence is particularly telling for me. This is the essence of a customer culture. It starts with creating value, creating services that solve problems for people. If you can do this well then money should follow as a result of creating value people will pay for. Here is the long term perspective I mentioned in my previous post. By not taking short cuts to boost short term profitability Facebook can take a balanced approach to investing in people, customers and provide returns for investors over time. Although Facebook are currently not in our Market Responsiveness Index (MRI) database, I would expect them to be strong in all 7 of the customer culture disciplines we measure. Its current challenges are the short term pain associated with becoming a public company. If it remains focused on creating maximum value for customers it will continue to be relevant and profitably long into the future. What’s your take on the Facebook culture? This entry was posted in C-Level Quotes on MarketCulture, Customer Centric Culture, Customer Centric Leadership, customer focus, Customer Insight, Customer Value, Customer-Centricity, Strategic Alignment, Uncategorized and tagged facebook customer culture; CEO leadership; strong mission;customer centricity. Bookmark the permalink.